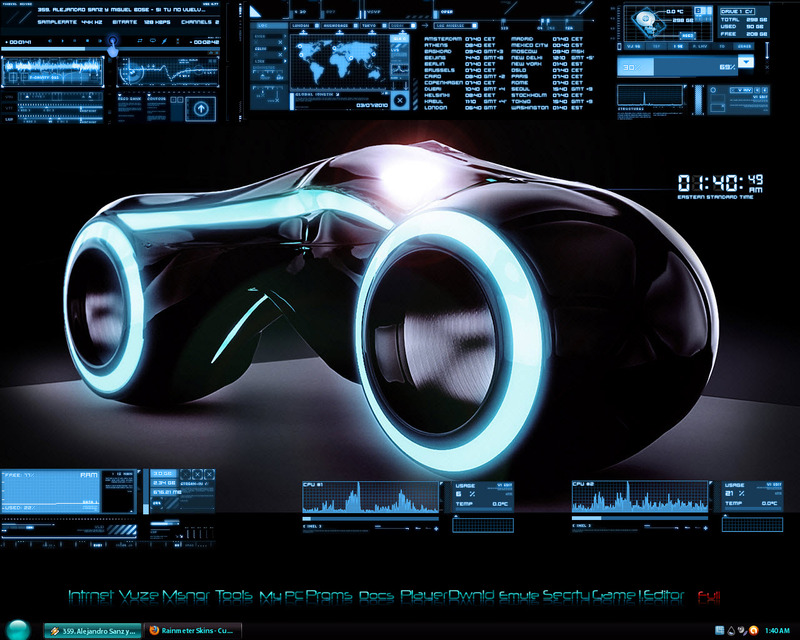 Rainmeter: BlueVision V0.1 Beta by g3xter. Dock icons: Azure Text Icon by Oceansolei [link] PSD file included!!! I would love to download this but unfortnatley it goes to a big screen shot only. I've tried google chrom, fire fox which I love, and ie. None will let me download. I am curious about the use of the TEXT at the bottom... is it a toolbar or something? As for getting the component parts, google each part individually and you will find them - several are DeviantART page items. Excellent work all the way around. you have a good eye for continuity. I traded out the WB for the new TRON LEGACY one but otherwise kept all the same.